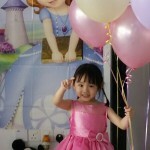 BalloonMalaysia.com is proud to be the partner of Delon Balloons & Gifts. 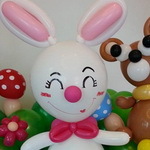 Delon Balloons & Gifts has been established since 2007, building up a reputation for creating the fairytale scene or atmosphere for many clients, private or corporate. Good customer service, reliability, quick responses, creative, that many of our clients repeatedly return back to us year after year for their events. Our retail store in Taman Skudai Baru, Johor Bahru, is full of many products that we have brought together over many years. We always believe in quality and value for money as our priority. 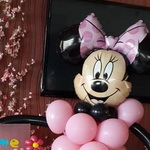 We also provide Balloons Decorations. 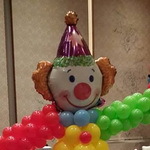 Whether you're planning a wedding, corporate event, celebrating an anniversary, making a birthday extra special, or you simply want to send someone a special message, we can always give you some ideas on how our creativity and expertise will help your event into an extravagant experience and balloon education programs for business or balloon artists. Balloons are a major part of our business. Collection from our store, or a venue decorating service is available. Balloon stage, Balloon releases and balloon printing, we can provide a service or advice about all three. Balloons have size, color, movement, and communicate a positive and festive atmosphere. The dramatic visual impact of balloons decoration ensures your event or message to be the center of attention. It is this special feeling of being the center of attention that makes your event memorable, and makes people feel special and happy. The Party Products range from Baby Shower to Heloween Party, First Birthday to Theme events. From tableware to decorations, balloons to ice candles. We do rent or sell fancy dress. We have many characters from every era are available, plus our accessory lines are immense. We also attend many Wedding Fairs/Open days, where you would be able to judge the quality of our chaircovers, balloon decor and designer products. We are proud to distribute Qualatex, Sempertex, Anagram, Link-O-Loon, Hi-Float, Betallic and Conwin in Malaysia. 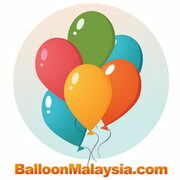 BalloonMalaysia.com is setup, maintained and supported by Max Eshop. GET TO KNOW YOUR PARTY EXPERTS! Did you know that we were the first local party centre in Malaysia? PartyShop was established in 1995. We are the leading and largest one-stop online party centre in Malaysia with a showroom in Subang Jaya. We are Malaysia's Largest Online Party Centre. We cater for all party needs budget or lifestyle, big and small, from one to eighty years old. We also rent out fancy costumes and accessories for kids and adults. Besides organising for discerning parents, we have done for celebrities, ministers, royalties, professional and large corporations. Our products and services has been sought by people living in Johor, Penang, Pahang, Sabah/Serawak, and as far away as Australia and Thailand.